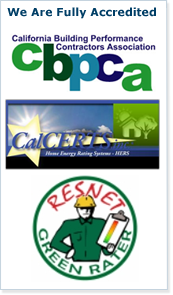 HVAC Rater Service serves the Northern California Central Valley and the San Francisco East Bay Area. If you live in Pittsburg, Antioch, Brentwood, Oakley, Livermore, Pleasanton, Dublin, San Ramon, Danville, Pleasant Hill, Lafayette, Moraga, Walnut Creek, Concord, Martinez or even Pacheco, our San Francisco East Bay Area office will be happy to help with your HERS duct test, refrigerant charge measurement or more! Just give us a call. Title 24 Duct Testing and More in Northern California, Central Valley, and the San Francisco East Bay Area.